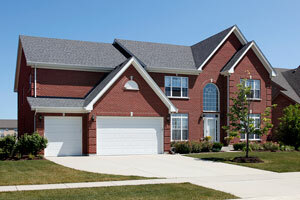 How can you be sure that your Knoxville, TN, home’s garage door is installed with incredible attention to detail? The answer is simple: entrust its installation to the experts at 31-W Insulation. We’ve proudly served homeowners since 1972, making us one of the area’s most experienced home improvement companies. Discover for yourself why so many of your neighbors have turned to us over the last 40-plus years, and entrust our experts with the installation of your home’s new garage door. Many of the doors offered by these reputable brands are backed by impressive warranties, so you can be confident that your investment is well protected. If you’d like more information about the garage door systems we install in Knoxville, TN, and surrounding areas, contact us and schedule a complimentary consultation. Don’t forget to inquire about our other home improvement services, including the installation of Owens Corning® and CertainTeed attic insulation, NextStone™ simulated stone siding, Delaney bath accessories, and more.